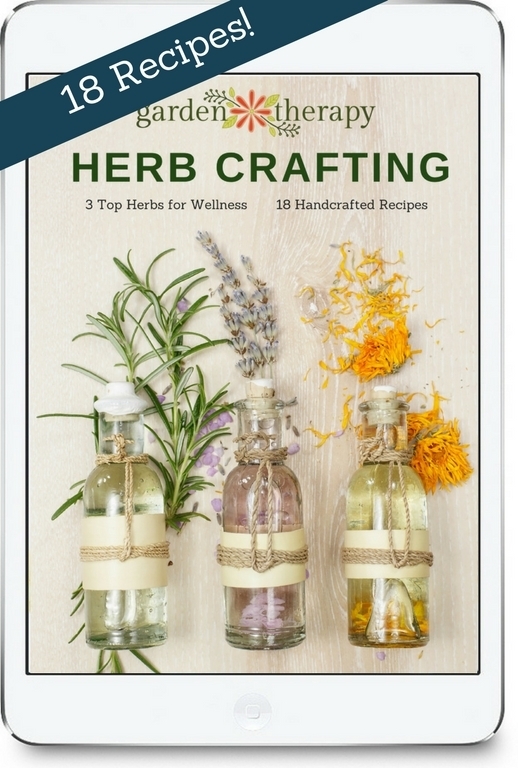 This Herb Crafting eBook has a detailed profile on 3 top wellness herbs and 18 recipes for crafting with herbs. It will give you an introduction to the healing properties, growing and harvesting instructions and a whole lot more resources! Plus, a selection of diverse projects that will get you started with herb crafting. 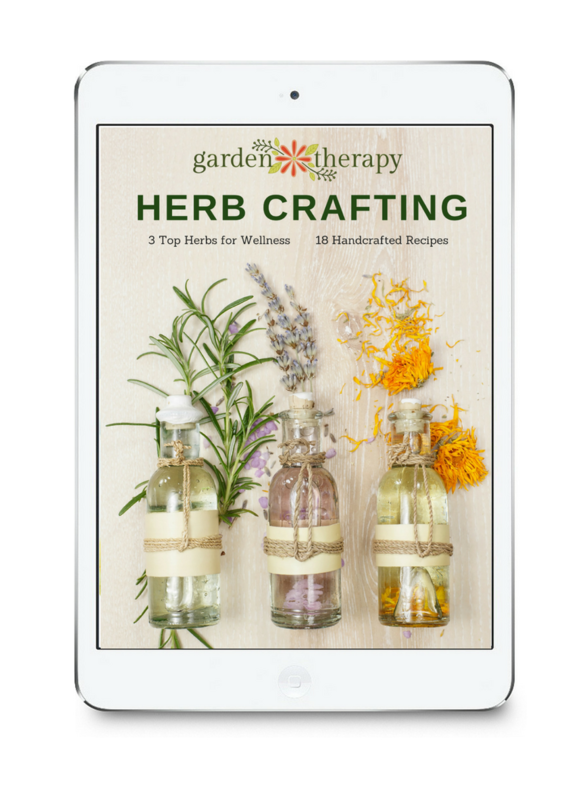 Sign up for our newsletter and get our FREE Herb Crafting eBook. Join our 20,000 subscribers who get our popular weekly newsletter "What's in Season" plus special offers, contests and freebies, and content not available elsewhere. I agree to receive emails from Garden Therapy and can unsubscribe at any time. We hate spam. And aphids. We won't send you either. Great! Now go check your email. The link to download the FREE Herb Crafting eBook was just emailed to you. Head over to your inbox and have a look for the confirmation email from "Garden Therapy", it should be delivered within a minute or two. If it doesn't show up when you refresh your email, then it might be hiding. I promise, we did send it! But sometimes the emails get lost on the way. If you don’t see the email within a few minutes, please check your spam/junk folder. If you still can't find it, please email us!